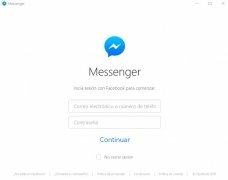 One of the most comfortable ways of chatting with our friends is through Facebook Messenger, the instant messaging service of the most important social network in the world. 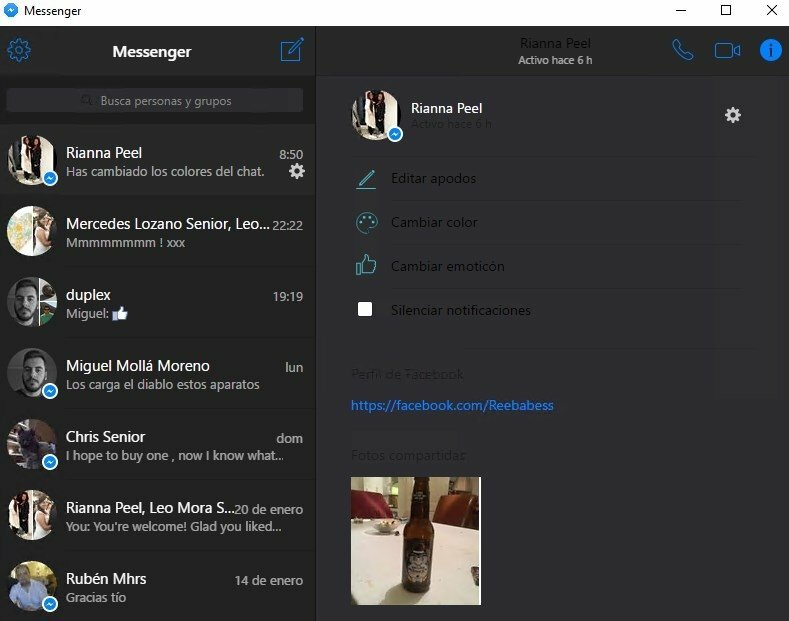 And you can now do so from your PC's desktop, without having to resort to the web version, thanks to Messenger for Desktop. 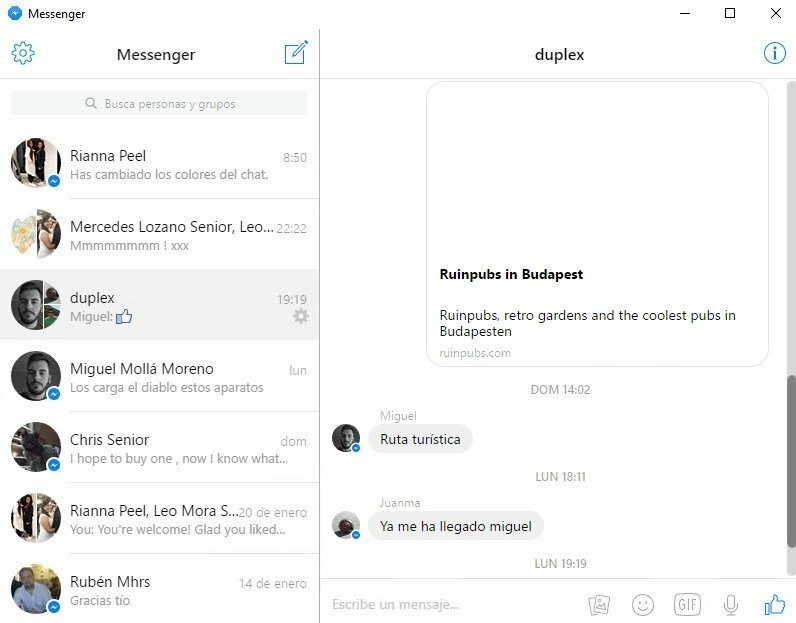 Chat without distractions straight from Windows and without opening Facebook. 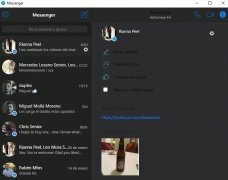 With this unofficial Facebook Messenger client, you can do all the usual actions that you would carry out on your Android smartphone or iPhone (talk to friends, send photos or videos, create groups or share files), but without taking your eyes off of your computer and in full-screen mode. 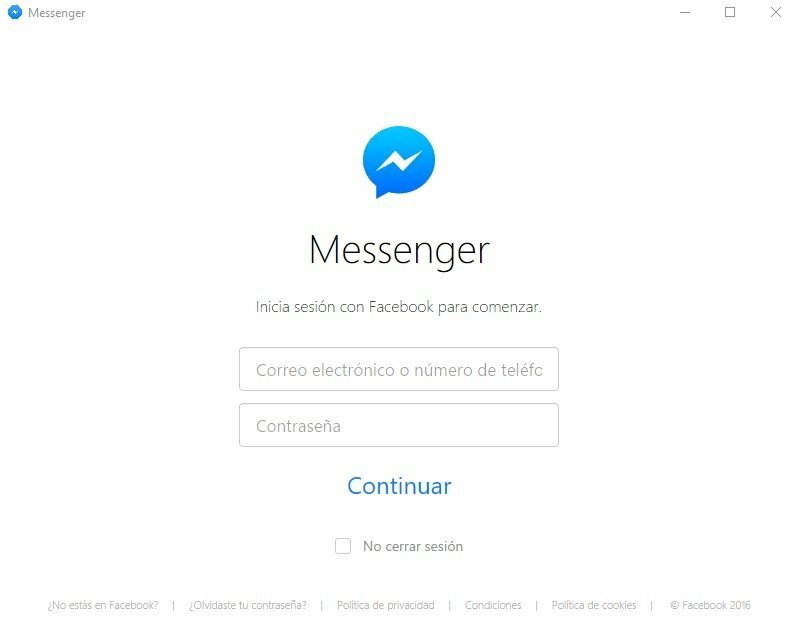 Clean interfaceClean interface very similar to the mobile version of Facebook Messenger. Perfectly integrated into the Windows environment. 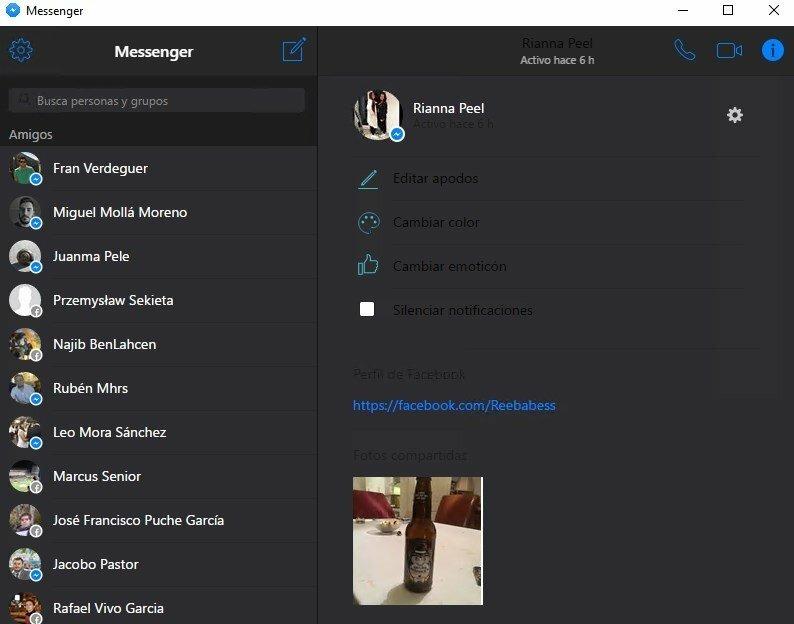 Possibility to adjust the size of the chat window. Three themes available: light, dark and mosaic. 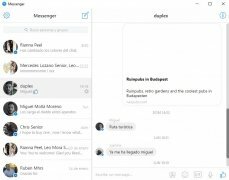 Chat individually or in a group. 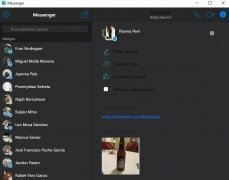 Share videos, photos and links that will open in your default browser. Liven up your conversations with stickers and emojis.